Easy ways to make your Patio bigger! 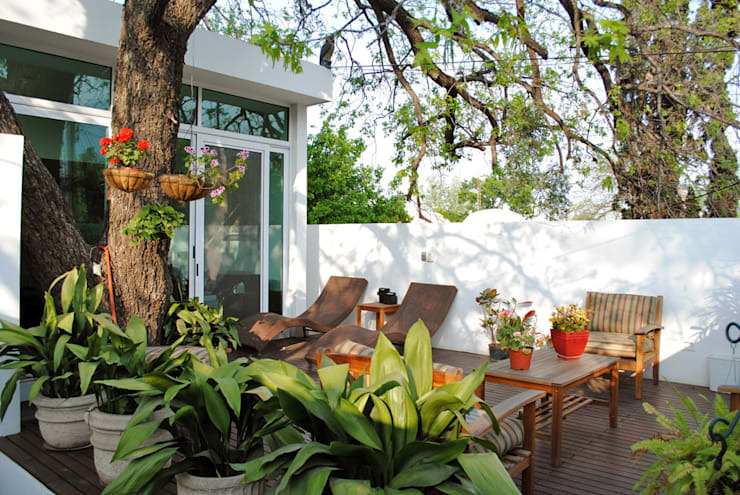 Our yard is meant to reflect our personalities and tastes and with a bit of love, dedication and care, can become an area of the home that offers so much. A patio can be turned into the centre of a house, the place where everyone wants to be at all times, a place that is enjoyable at all times, no matter what the weather is like outside! It should be a comfortable and pleasant space with a lovely, thermal equilibrium. Together with a beautiful, accessible garden, this should become a fundamental space in the home both in terms of structure and in terms of decor. However, you don't need to spend a lot of money to have a nice patio. With some aesthetic judgment and a bit of knowledge on some guidelines, you can achieve the incredible! There is no doubt that by paying a little bit of attention to this space, you can enhance it so that it becomes the best version that it can possibly be. You'll have to fight for a spot in this space! With a bit of decor and a bit of maintenance, you can have the best patio on the block! This is why we at homify would like to give you a few aesthetic and decorative tricks that can greatly help you to enhance your yard and make it look sensational. It will be a place that you, your family and your friends will enjoy constantly! Are you ready then? Well let's continue reading! Patios are much smaller sections in the garden and are commonly characterised by a durable floor, which differentiates it from the garden. Both of these spaces are external. These two sites should merge and complement each other, with the garden and its plants enhancing the small patio. Now that we have created a difference between these two areas, we can begin to get a bit creative with the decor. For example, you can plant beautiful bushes that line the garden and create wonderful dimensions between the patio and the garden. MeyerCortez Architects have characterised this space with white walls and floors, which makes the patio seem much bigger than it is. This is because the light reflects on the walls! It is so important to have good outdoor furniture on your patio! And by good, we don't mean a plastic table with four or five chairs just so that we can sit down, chat or eat. The furniture that you choose needs to be attractive, fit in perfectly with the environment as well as with the interior decor of your home. It also needs to be functional! Ultimately, we need to make the most of the space. 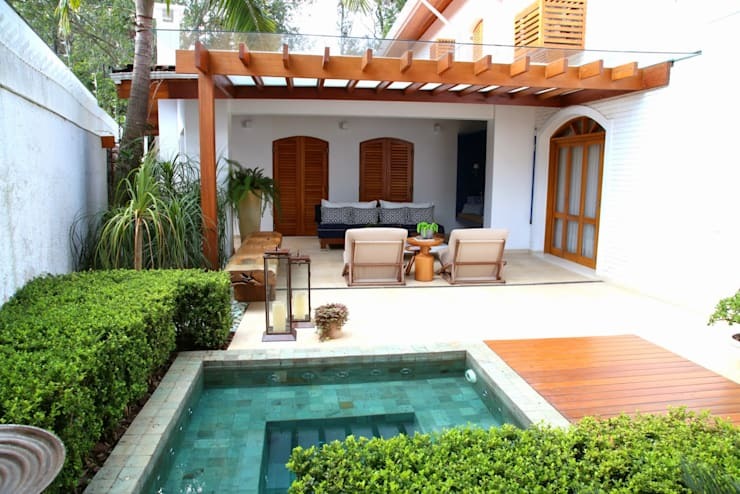 In this example, the courtyard design by Cortés Architects is sensational and demonstrates how we can use the space for so many different things, just by the furniture that we choose. There are some chairs for sunbathing as well as an area for sitting down and relaxing. Have a look through the homify patio furniture for inspiration. 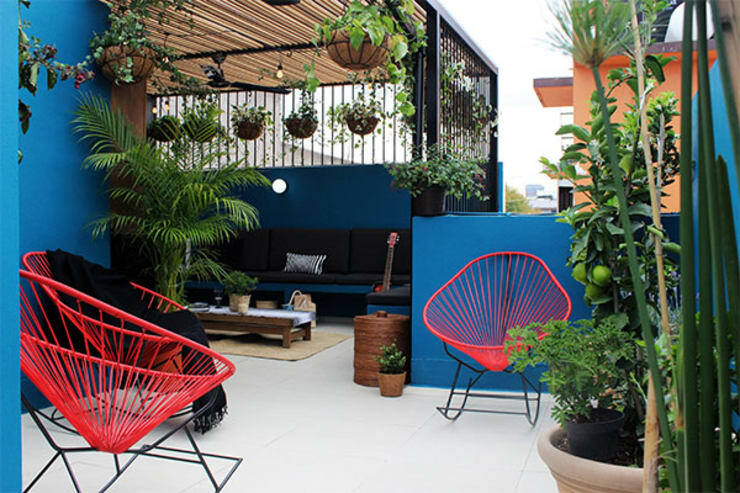 Because this is an outdoor area, the presence of plants is essential. And you can get creative with it! We suggest you go one step further beyond the conventional and opt for flowerpots, like these one in the image. Now if you have a yard that is small, Nina Sand's design here shows how fantastically a vertical garden can work. All you have to do is hang pots from the ceiling or the wall. Whatever option you choose, you will achieve a beautiful, natural feel that brings colour and vibrancy to your yard. 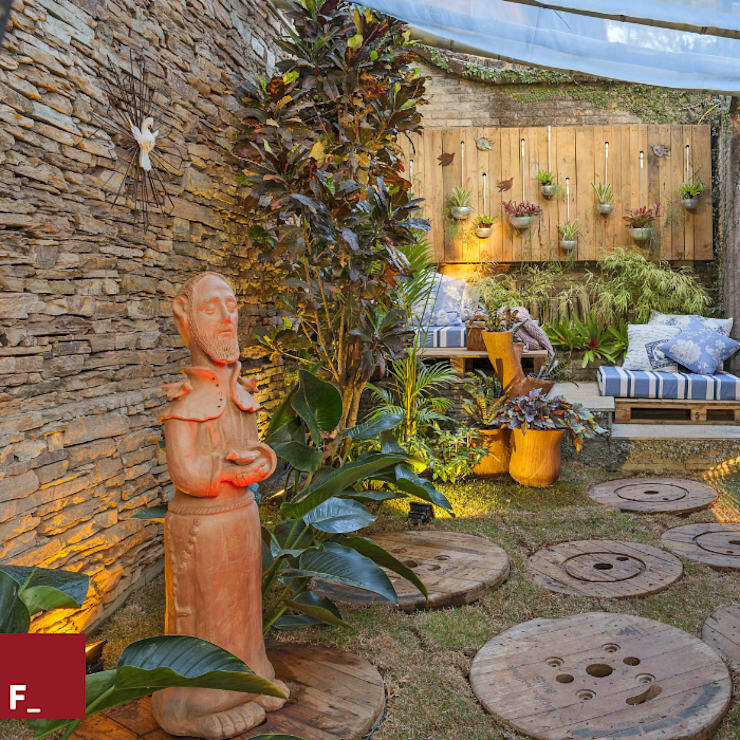 Artificial light creates a cozy atmosphere and brings personality to the small courtyard. A patio is a firm favourite in any home and is used throughout spring and summer, and maybe even the rest of the year if it is a partially or totally enclosed space. What this means, however, is that we have to be aware that we cannot always rely on natural light to illuminate this area, especially at night. When we want to illuminate the patio, our salvation comes in the form of artificial lights for the patio. And let us share a secret with you—lighting in outdoor spaces is usually overlooked. Many believe that natural light is sufficient, but it is not. Aside from natural lighting being vital at night, it is also a decorative element that will enhance the look and feel of your patio. Look how intimate and romantic this courtyard looks, designed by Fadel Architects. Artificial light is essential! 5. Functional decoration is key! Finally, we must not forget about the decor for the patio—ranging from small ornaments to majestic fountains. When it comes to picking decor, it should look as natural as possible so that it mimics the environment. 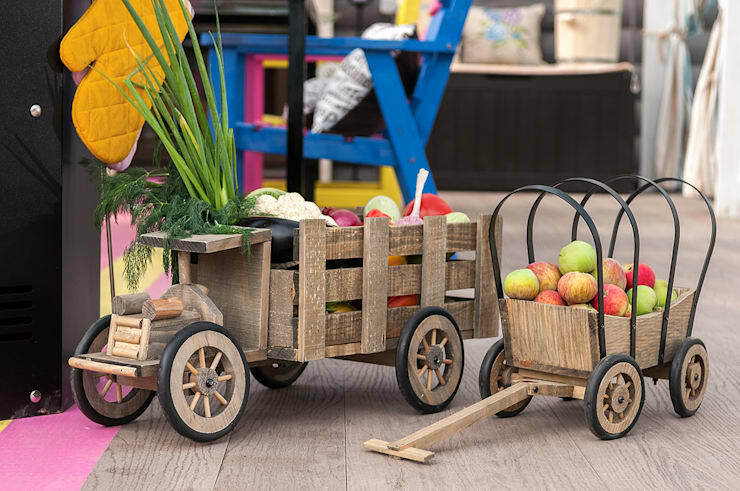 Don't you love the wonderful forklift truck and fruit in this image, which gives it a wonderful, farm look and feel? This design combines originality and naturalness, which is an incredibly easy concept to achieve all on your own. It can become a project for the whole family! Buy a few boxes and pallets and get to work! Keen to keep decorating? Plant a beautiful tree as a start! If you like this ideabook, then you'll love this one on gaining: Elegance in your home without breaking the bank.